Hello after a much needed break from the blogosphere. So much has happened to life on my side and I just needed to be away from everything for a bit but I'm back now and happy to kick start blogging again. First off with a makeover to the site! Bigger pictures! And I am so in love with my new banner done by Beby who is one hell of a talent. Still working on even more posts so this blog is going to be bustling. 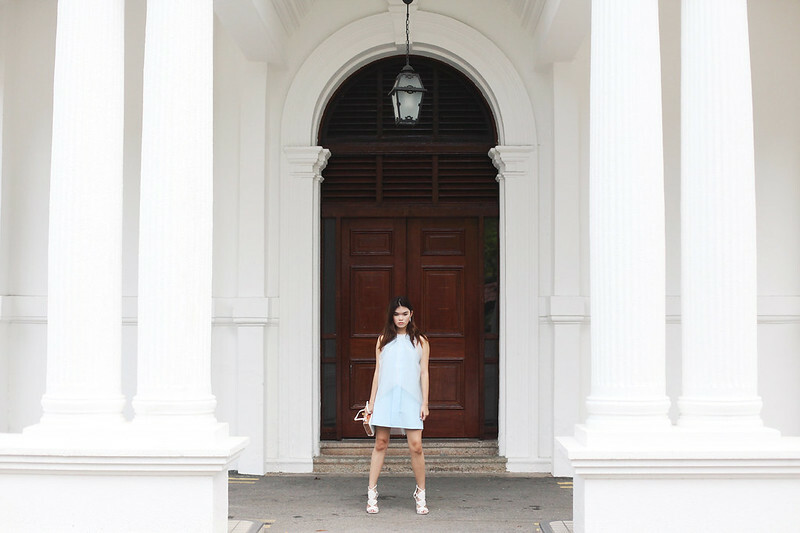 These were taken last week while catching up with my pal, Edgar over brunch as we explored some random churches in Singapore. My dress was a special find I decided to bring into the store (which I will be updating reall soon! ), love this perfect shade of blue that makes me feel like a disney princess whenever I put it on. Now that summer feels officially over, time to get busy and do up more photo diaries from an epic season and start planning an amazing winter while getting through school. Cannot wait.